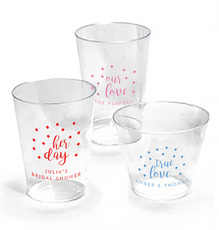 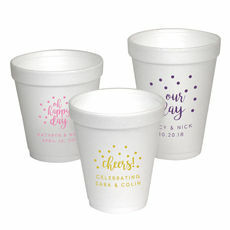 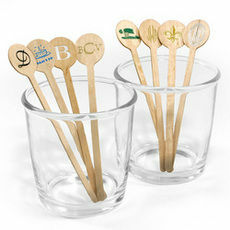 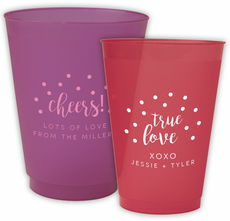 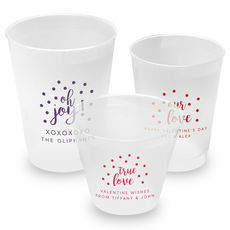 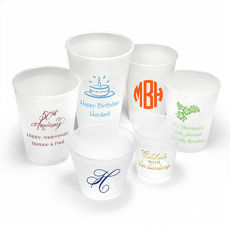 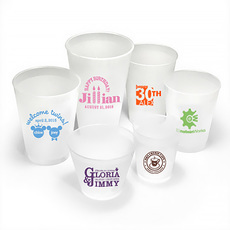 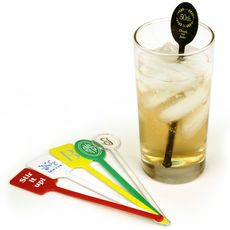 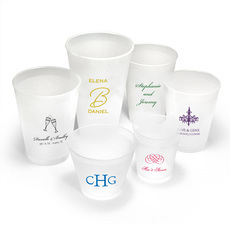 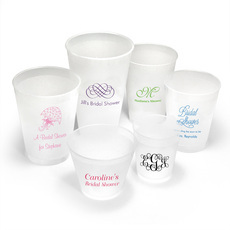 Personalized disposable clear hard plastic cups are perfect for your bars at a bridal shower, engagement party, bachelorette party, rehearsal dinner, wedding reception, or morning brunch. 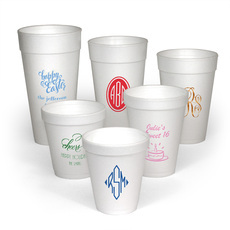 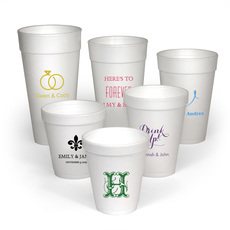 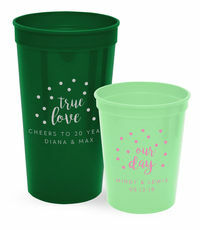 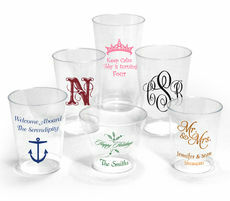 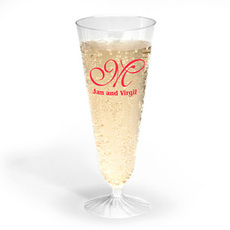 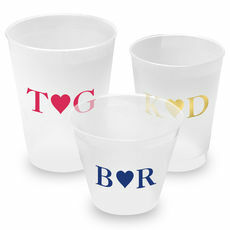 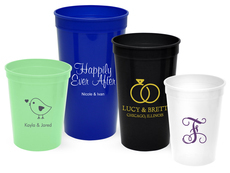 Many bridal..
Personalized disposable or reusable stadium cups are perfect for your casual wedding bar, rehearsal dinner, engagement party beverages or bridal showers. 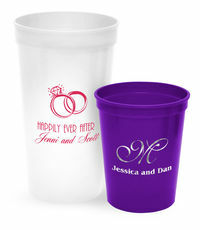 Many bridal and wedding designs to select from..